Journalist, film producer and former wife of cricketer-turned-politician Imran Khan, Reham Khan has been threatening to publish her 'tell-all' for a while now. And on Thursday, her eponymously-titled book was released in the UK in paperback and on Amazon in its digital form. While the autobiography has not been officially released in South Asia (or anywhere else in the world bar the UK, for that matter), leaked PDFs of Reham Khan have been doing the rounds. Reham's wistful prologue that includes a description of herself as a 'perfect prisoner' recalls how her first husband Ijaz Rehman would frequently pin her down and laugh while forcing himself on her. "You are so pathetic!" she recalls him jeering and adding, "Why don’t you call 999? You can't even spit on me". The early chapters of the book are full of similar treatment suffered by her during her 12-year marriage to Rehman. One of the few sets of people in her life about whom Reham has nothing but good things to say is, somewhat unsurprisingly, her children. In fact, the Acknowledgments section at the very start of her book reads, "It is strange to write an acknowledgements section when there is hardly anyone to acknowledge. The sad fact is that this was a mountain that I had to climb largely on my own. No one wanted to tell my story.... In bringing this book to you, Sahir [her son] was my only support... Even Sahir's friends were supportive." Over the course of the book, her implicit trust in the judgment of her children and adoration for them is frequently revisited. Unarguably, the most-discussed aspect of the book long before it saw the light of day was the reams and reams of print that would be devoted to her 10-month-long marriage to Imran. "Though he had been admired by countless Pakistanis, I had never paid much attention to Imran Khan," she writes early on in the book, adding that he came across as 'as an arrogant, rude, and rather ill-mannered man' on television. 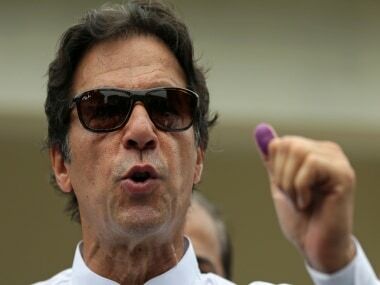 "Imran Khan came across as everything I detested in a man, yet he was everything men like my husband (Ijaz Rehman) aspired to be." 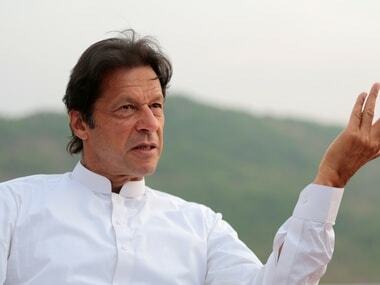 Over time, Imran launched his political party, the Pakistan Tehreek-e-Insaf (PTI), and became the subject of numerous interviews and discourse on news channels. As a journalist, their paths were bound to cross, and cross they did. Reham details how interactions between her and the aforementioned 'arrogant, rude and ill-mannered' man gradually became more and more personal. Things gradually got to the point where the duo exchanged text messages and after a speech by the PTI chief, she sent him a brief text message. He replied immediately, "But what did Miss Critical think of the speech?" I responded that it could have been a bit better and added, "You failed to mention electricity issues etc". He replied, "You didn’t listen to all of it". To be fair, that was true. I never did pay much attention to his speeches. They were never particularly intellectual. The first thing Imran said to me was, "Don't be awful like that Talat Hussain (journalist). Stop criticising the party. Why don't you join the party? We could do with people like you." I turned to him and said, "Why, do you want to do what you did with (former PTI member) Fauzia Kasuri? Have me leave my (British) nationality and then abandon me?" protectively but gently, as if to soothe the insect bites. I jumped in my chair at this unexpected, yet tender gesture from him." And after a fair bit of this sort of stuff, and by the author's admission, Imran had 'chipped away' at her 'tough exterior'. "After all, Imran was a skipper who had perfected his attritional game. He kept changing the field to catch me out at my weakest. It would only be another few months before I threw the match away in reckless fashion typical of Pashtun players," she writes. Reham writes a bit later on in her book that she wasn't entirely convinced about the idea of marrying the former cricketer, but he was... or rather his spiritual advisor was. "I know enough. I have asked my pir [spiritual advisor]. I am just waiting for the green signal. As soon as I get it, we are getting married," he reportedly said, with 'irritating calmness'. She writes about how Imran just wanted to get married and had no interest in anything beyond marriage. And not for the first time, the pir held all the cards. Imran "was a man who'd blamed his confusion and mood swings on the pir while trying to woo me a year earlier. Imran had begged me for forgiveness, explaining that the pir had told him not to marry me. There had apparently been a mix up of my parents' names with the names of another woman (the pir had told him I was a woman who'd had a string of sexual partners, and, more shockingly, that these partners had been white)". Things got steadily weirder, with Reham detailing how soon after marriage, she walked into her bedroom to find Imran "lying naked on a white sheet, rubbing kaali daal (black lentils) all over himself. He laughed in embarrassment as he rubbed them on his genitalia". As instructed to, by his pir apparently. She goes on to mention how there wasn't just one pir, but a revolving door of them. A new female pir was introduced to Imran the year before he tied the knot with Reham. Imran, Reham writes, had told her about his childhood and a maid who would 'forcibly nurse' him when he was four or five years old. He, apparently, grabbed said maid's breasts once in front of his shocked mother. Older cousins would also goad him to touch her (presumably, inappropriately) when he was less than 10 years old. 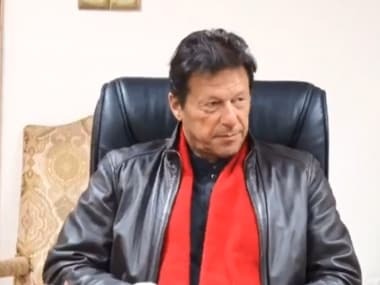 It was at Lahore's Aitchison College, Reham relates, that Imran's 'curiosity got the better of him' and he participated in some 'interactions' with a male classmate. 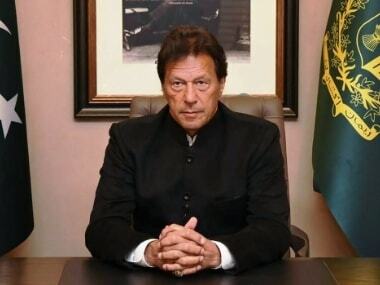 Some years later, while studying in Worcestershire, England, she writes that a 12-year-old boy 'forced himself' on Imran, who was 18 at the time. The book delves into the age-old tryst between cricketers and Bollywood, particularly its actresses. "The most famous story, of course, was that of a Bollywood superstar of the '70s. Considered to be one of the sexiest heroines of all time, there had been rumours of Imran and her." Now years later, when contacted by the author, the unnamed actress described her relations with Imran as "Naam baray aur darshan chotay". Reham elaborates "the hype was bigger than the rather small package on offer". However, while cleaning the bottom-left drawer of my husband’s side table, I found empty cigar cases and huge tubes of KY Jelly. When I asked what they were for, Imran explained that the lubricant and the metal cases were used together. His 'preferences' became clear. My look of horror produced peals of laughter from my sexually liberated husband. After elaborating on other experiences that hinted at Imran's bi-curious, if not outright bisexual, tendencies, the author moves onto Imran's illegitimate children — five in total. "What? You have five illegitimate children! How do you know?" I asked. "Well, the mothers told me," he said. "No, some are Indians. The eldest is 34 now." "Baby, what do you know about drugs? You have never done it. A line of coke is just like half a glass of wine," Imran is quoted as having told Reham. And over the course of the book, allusions are drawn to the 1992 Cricket World Cup-winning skipper's use of 'all sorts of tranquillisers, mainly benzodiazepines like Xanax and Lexotanil', Rohypnol and heroin. The author also briefly touches upon an incident that saw her rush Imran to hospital because he had been doing drugs on an empty stomach.